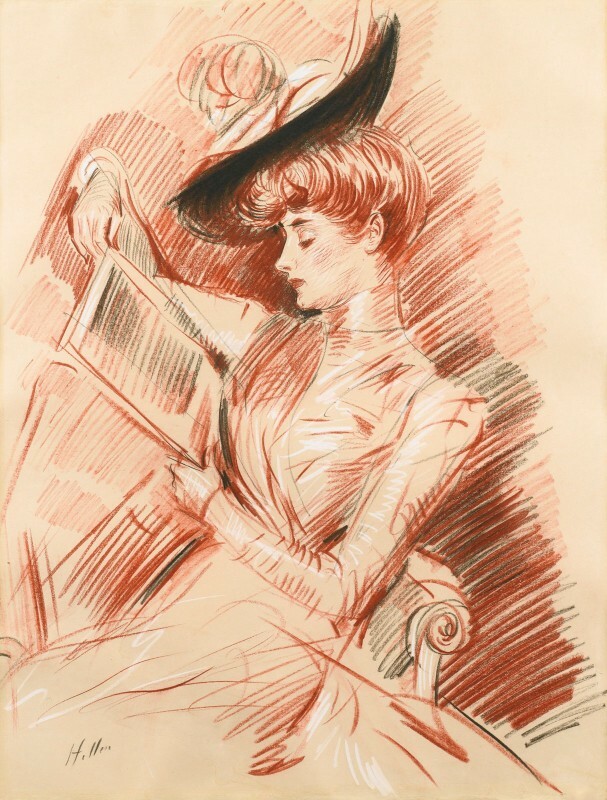 The year was 1909, and La Belle Epoque was in full bloom. 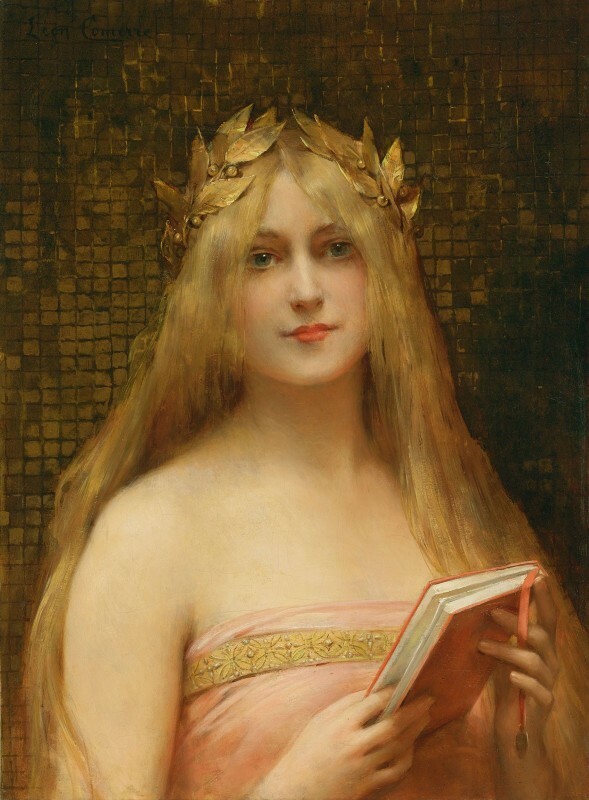 Europe was aglow with prosperity, technological, scientific and cultural innovations were flourishing. 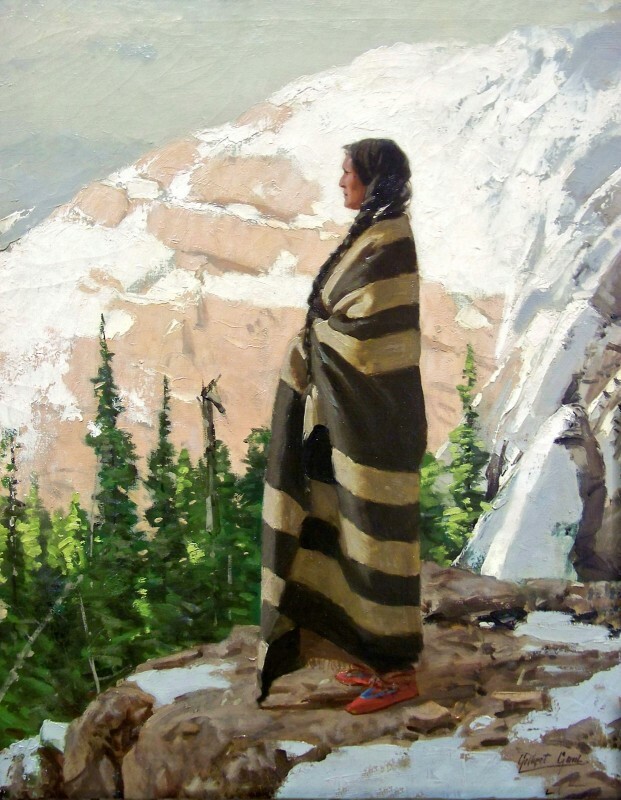 It was a glorious time of peace, art, scientific and technical advancement. Alberto Santos-Dumont, a flamboyant French-Brazilian aviation pioneer, had lived in Paris since 1891 and had quickly achieved fame for his aeronautical exploits. 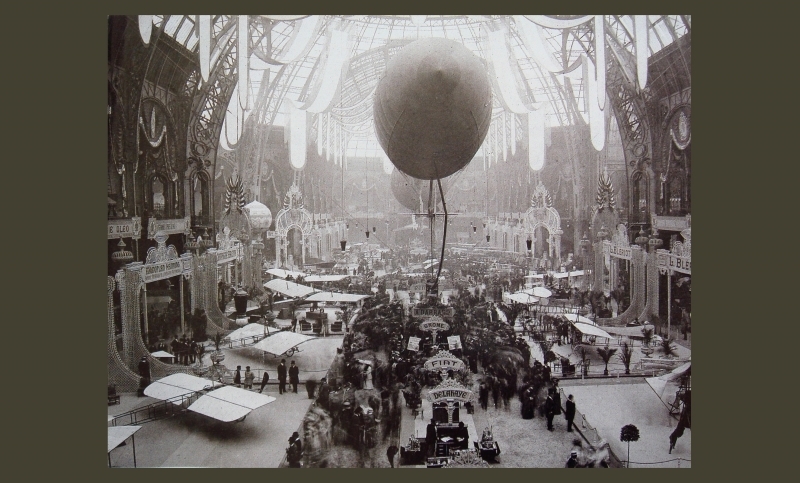 The people of Paris were captivated by the idea of powered flight in heavier-than-air machines, a very new development, still in the experimental stage. 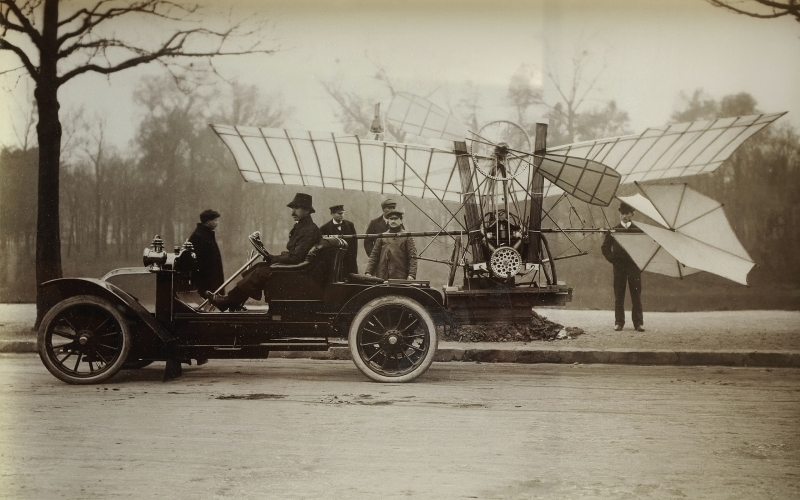 There was excitement in the air, as the great Mr. Dumont would be flying the latest model of his airplane, the Demoiselle, at the very first Air Show, held at Le Grand Palais in Paris, in the Fall of 1909. 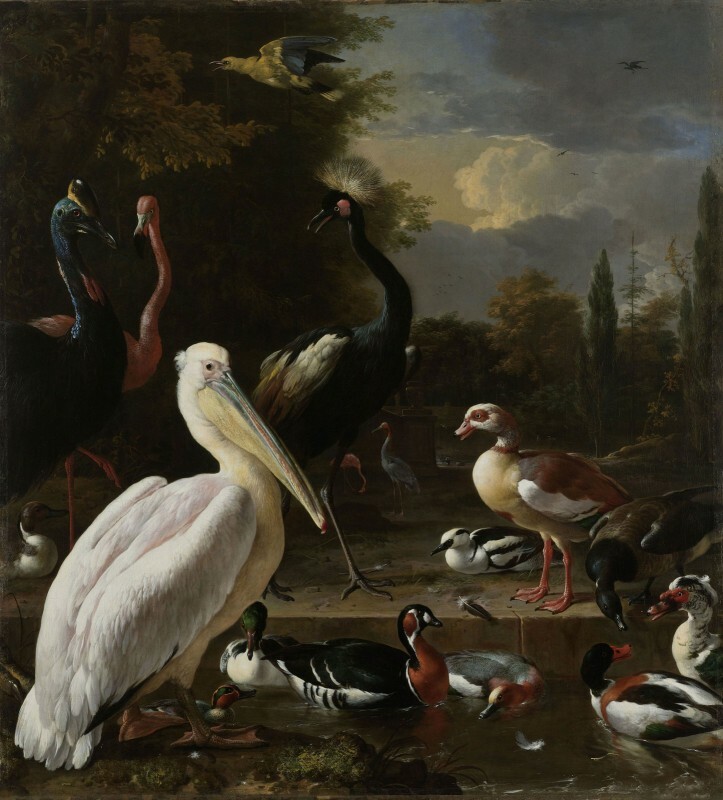 The "Exposition Internationale de Locomotion Aérienne" ushered in what was to become an enduring tradition. Born in Brazil, son of a wealthy French coffee grower, Alberto Santos-Dumont (1873-1932) was fascinated by flight from an early age. When his family moved to Europe, Santos studied mechanics and physics in Paris, and immediately became involved with ballooning. Soon he was designing balloons; later, prompted by the possibility of steering conventional balloons, he began to develop and fly dirigibles, experimenting with several designs and power plants while occasionally escaping from crashes and mishaps. Alberto Santos-Dumont demonstrated his amazing airship design and flying ability when he flew from St. Cloud, (a Paris suburb) to the Eiffel Tower and back in under thirty minutes, to win a prize of 100,000 francs, which he gave to his employees, and to the poor of Paris. 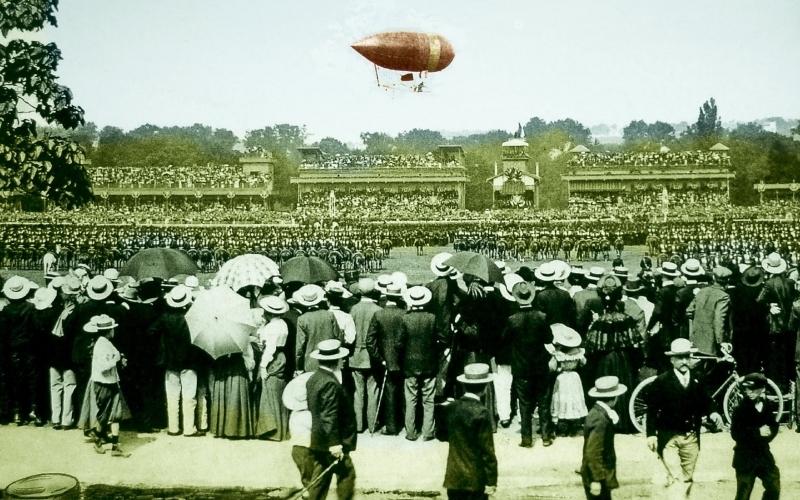 Frustrated early on in his aviation career by the inability of a pilot to steer a balloon, Alberto Santos-Dumont had turned to ‘dirigible (steerable) balloons,' and soon was designing airships himself. The flamboyant flyer would travel about Paris in his dirigible and go to lunch at Maxim's, or to visit with his friends. 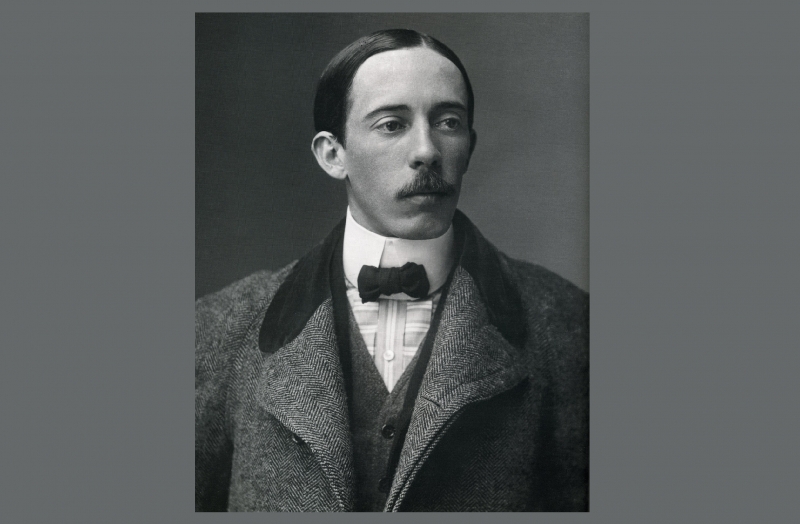 Santos-Dumont was a colorful figure who always packed a gourmet lunch for his travels in the sky, and was never anything but impeccably dressed. Parisians affectionately referred to him as “le petit Santos,” as he was below-average in height. The great watchmaker Louis Cartier designed a wristwatch for Dumont when he complained to his friend that he couldn’t access his pocket watch easily while he was flying airplane. 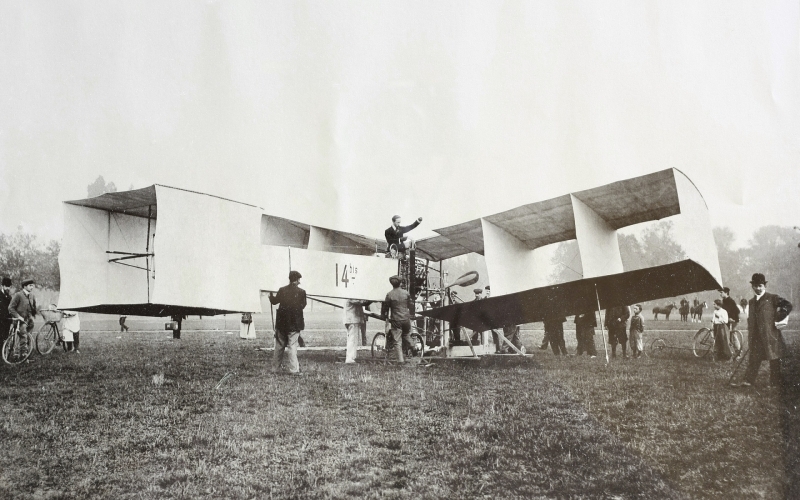 In part on the news of the Wright brothers’ endeavors, Santos-Dumont’s fancy turned from dirigibles to the newest rage in aviation, the heavier-than-air flying machines. He developed a biplane, the Quatorze-bis, which he piloted a distance of approximately 200 feet, at an altitude of sixteen feet, the first officially witnessed European flight of an airplane. 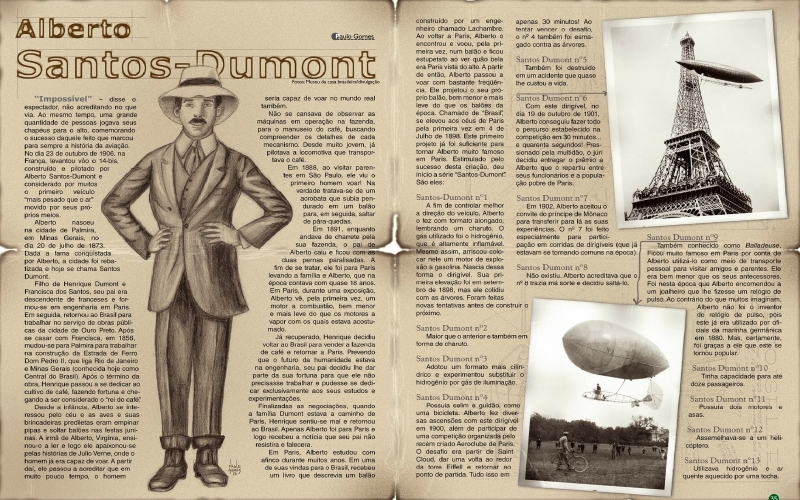 Soon Santos-Dumont came up with a new aircraft design, which he called the Demoiselle (“Damsel”). This single-wing aircraft was revolutionary in its simplicity and its ability to be mass-produced; Santos-Dumont imagined a world where many people could enjoy air travel as he did – flying almost everywhere. Parisians witnessed the very first air show in the world, which took place in at the Grand Palais in Paris in 1909, and continues to be held every other year, making it the world’s oldest air show. The star of the air show was Alberto Santos-Dumont’s “Demoiselle”, a monoplane which could be built in fifteen days, the world’s first mass-production airplane. Santos-Dumont distributed blueprints of the plane for free as he believed that aviation would bring about a better world, perhaps a new Golden Age of flight. 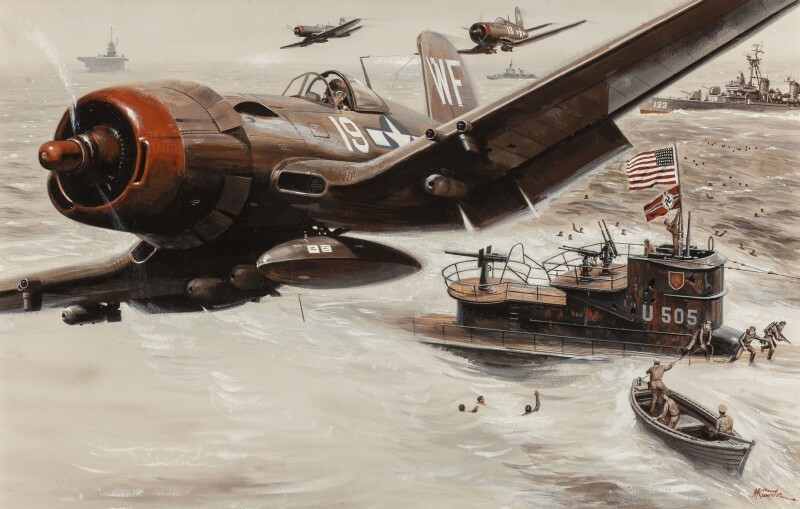 The next Paris Air Show will be held at Le Bourget, from June 17-23, 2019.